Using a metre rule and pencil to mark drilling positions can be a cumbersome and error-prone process. 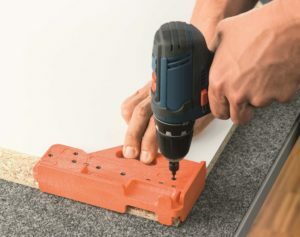 That’s why we offer a simple and practical drilling template for the back and base of LEGRABOX drawers. The template is good for several assembly steps. 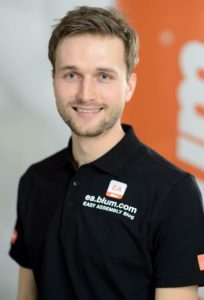 How to install Blum hinges directly on site? Sometimes it is necessary to equip a heavy door with an additional hinge directly at the customer’s place. 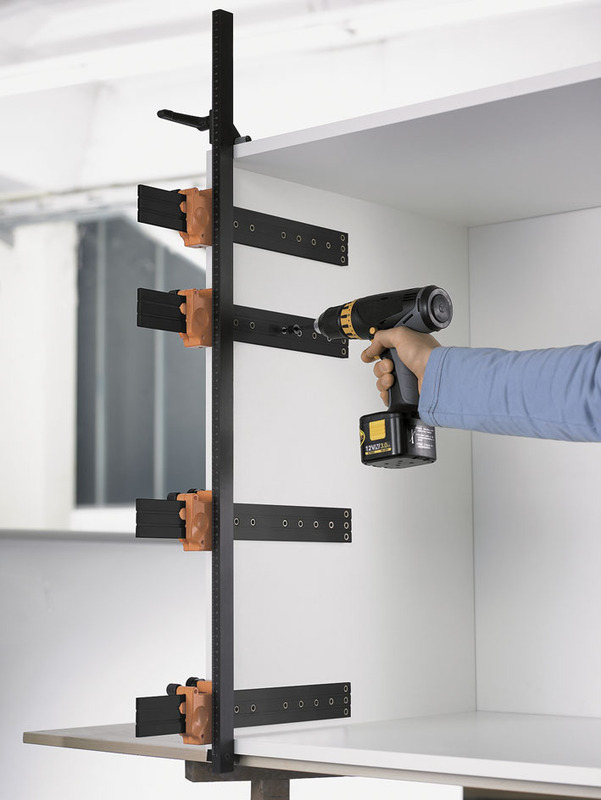 ECODRILL is a hand-held tool that can be taken on site. In just a few steps you can set the drilling pattern precisely and drill it with a hand drill. 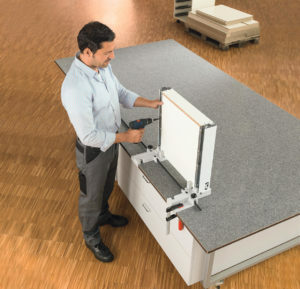 How to assemble drawers more precise and more efficient? Have you ever assembled drawers without any assembly devices and you haven’t been happy with the result? 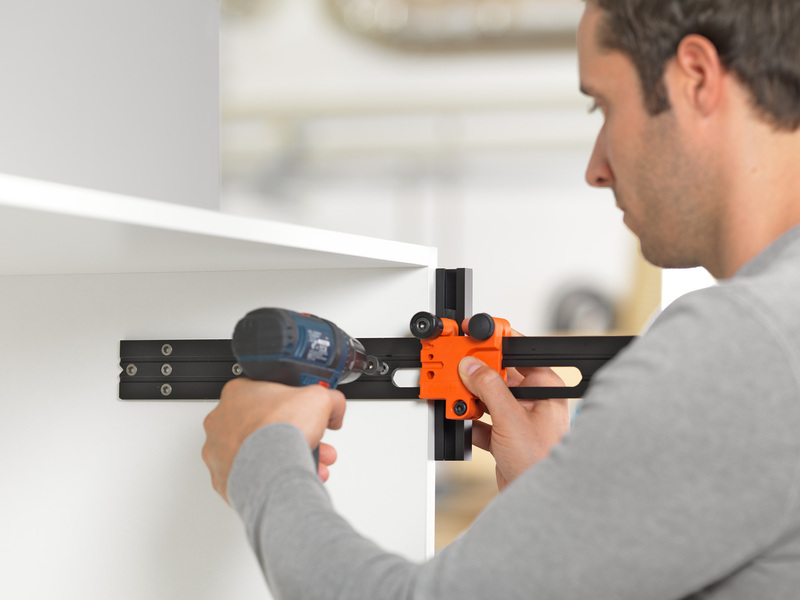 BOXFIX E-T assists you to assemble TANDEMBOX drawers in a more precise and efficient way. You achieve high-quality results only in a few steps. 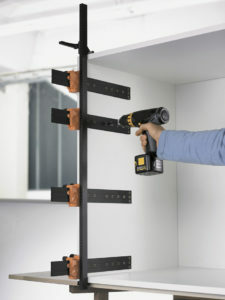 BOXFIX E-T needs only little space and is set up and dismantled quickly. 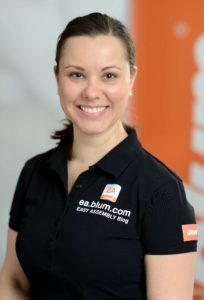 Blum offers a wide range of templates and assembly devices for various assembly situations. They have proven to be the very best aids when it comes to day-to-day assembly, both in the workshop and at the customer’s premises. 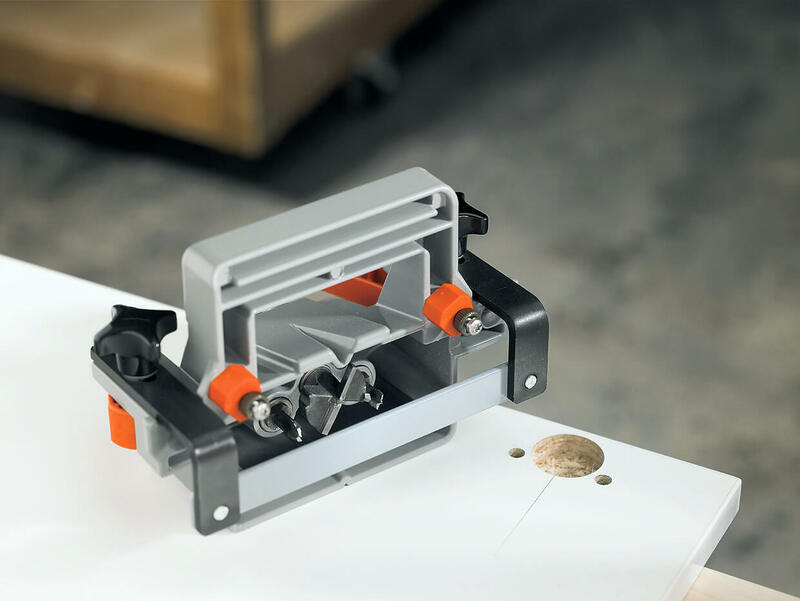 Our selector will show you which assembly device best meets your requirements.